Florida Association for Water Quality Control, Inc.
With nearly three decades of experience in environmental law, Mike represents a variety of industrial clients, including the electric utility and chemical manufacturing industries, primarily focused on solid and hazardous waste, real property contamination and remediation, and storage tank regulatory matters. 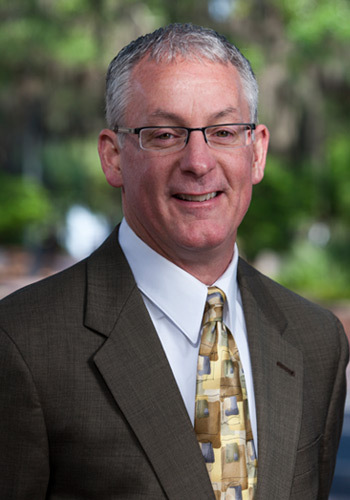 During that time, Mike has been involved in significant legislative, rule, and policy changes to Florida’s solid and hazardous waste, contamination cleanup, and storage tank programs. Closing in on 30 years of experience in environmental law, specializing in solid and hazardous waste, real property contamination/groundwater, and storage tank regulatory issues. Experience with federal and Florida environmental statutes, rules, and regulations, as well as, solid and hazardous waste, real property contamination, site remediation, and storage tank matters. Represents clients before the Florida Department of Environmental Protection, the U.S. Environmental Protection Agency, and the Florida Legislature on solid and hazardous waste matters and related issues. Since 1995, has represented clients in connection with lobbying related to Florida’s solid and hazardous waste, contamination cleanup, and related statutes. Experience with enforcement cases involving alleged violations of federal and Florida Department of Environmental Protection solid and hazardous waste statutes and regulations. Participated in several solid and hazardous waste, contamination cleanup, and storage tank rulemakings in Florida since 1994. Experience with electric utility and chemical manufacturing industries’ solid and hazardous waste issues. Listed in Best Lawyers in America, for Environmental Law, 2005-2019 editions. Listed in the annual publication of The Florida Super Lawyers, 2006-2012, 2014 editions. Listed in the 2006 and 2012 editions of Florida Trend Magazine’s “Legal Elite”. Listed in Chambers USA, 2009-2015 Editions.